Woohoo! Merlin is finally returning to our screens this weekend and the lovely people at the BBC have released these incredible high resolution images. 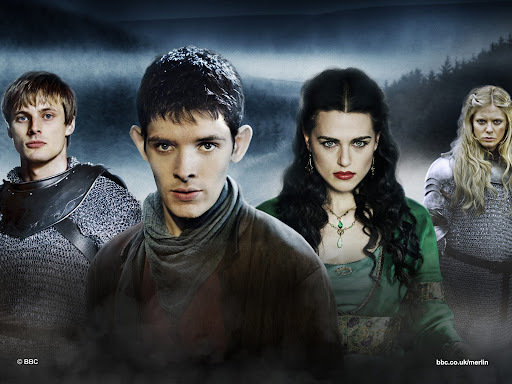 Merlin is one of my favourite shows on television. 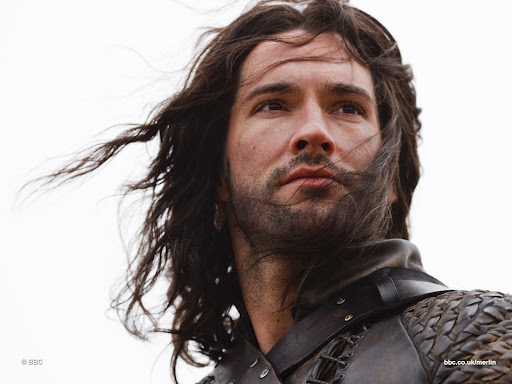 I was a huge fan of Robin Hood but found that it really deteriorated in the third season and in fact, I have been rewatching episodes recently and I can’t believe I ever liked it. Merlin is different. It is a series that has stood the test of time and I actually enjoy episodes more on the second or third viewing. I loved the first season to bits but season two was even better in my opinion. I really can’t fault it and it is certainly not as hackneyed or improbable as Robin Hood became. Television is undoubtedly one of my great loves. I used to watch far more films than I do now and went to cinema at least once a week. Television slowly usurped that passion and this is not simply mindless vegetating in front of the box. I only mention this in order to explain that my complaints about Robin Hood come not from a critics’ perspective but from the perspective of a disappointed fan. It could have been so much better and done so much more. Marian could have stayed in the show and Robin Hood himself and Will Scarlett would not have felt compelled to leave too. 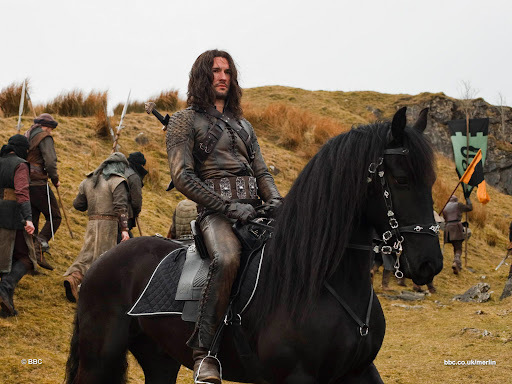 But this post is not about the cancelled Robin Hood. It is about Merlin. 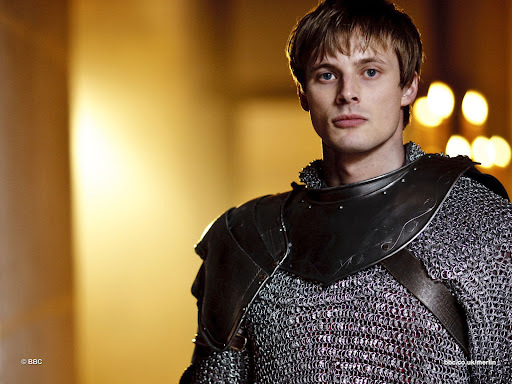 In case you don’t already know, Merlin is about the young Merlin (Colin Morgan) and how he meets Prince Arthur (Bradley James). 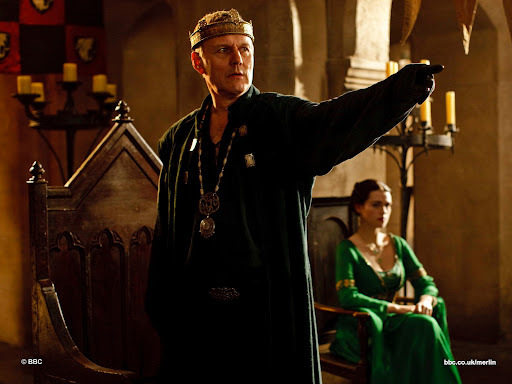 Merlin is a magician in a world where magic has been banned by King Uther Pendragon (Anthony Head), Arthur’s father. The dynamic between the young Arthur and Merlin is fascinating to watch as Arthur grows from a position of privilege, arrogance and ignorance to one where he comes to trust and depend on Merlin and ultimately, the two become friends. 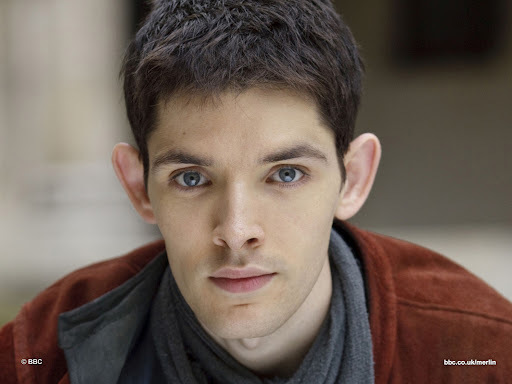 Merlin began the series as a kind, friendly and loveable character but he too has grown in time. His anger and frustration repeatedly bubble to the surface as he fully comes to terms with his own incredible magical powers and abilities. There are only a handful of people in Camelot that know about Merlin’s abilities and it has to be kept a secret as sorcery is punishable by death. 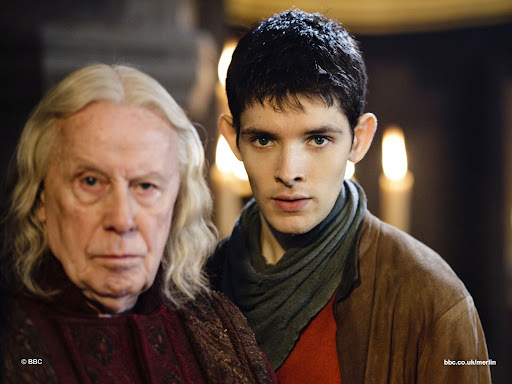 One of those people is Gaius (Richard Wilson), Camelot's court physician. 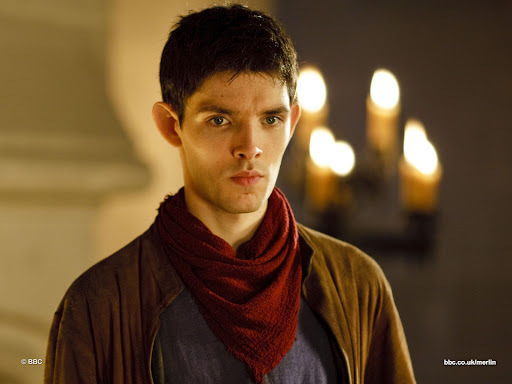 He takes Merlin in at the beginning of the show and he is Merlin’s mentor and at times, his protector. 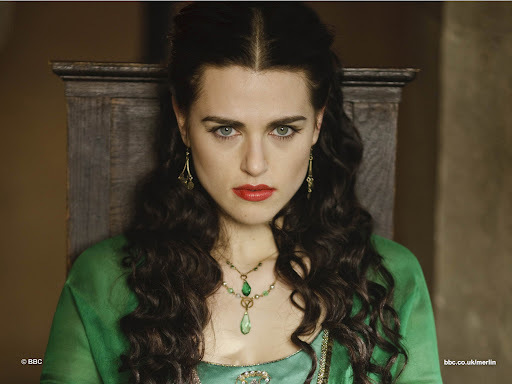 There are a host of other supporting and returning characters in the show including Morgana (Katie McGrath) and Guinevere (Angel Coulby). 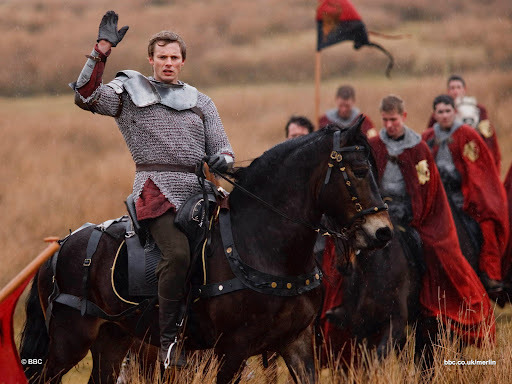 I’m hoping to see some development in the relationship between Arthur and Guinevere this season! The show is not without its villains either. 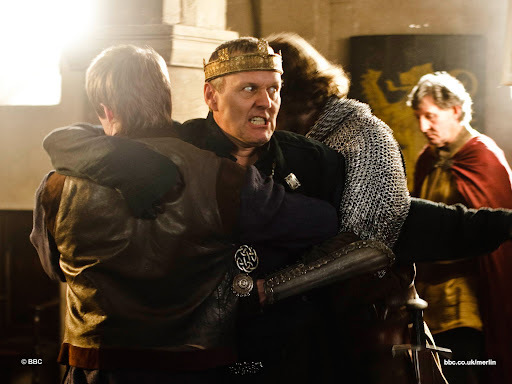 Merlin is certainly an improvement on the old villain-a-week formula so loved by the BBC as storylines are carried through the show and villains and other characters are often recurring. 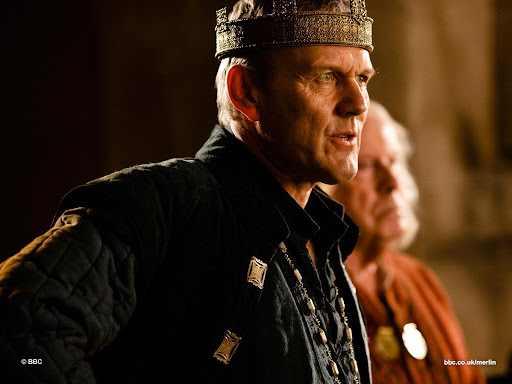 It looks like this season’s big villains might be King Cenred and Morgause. 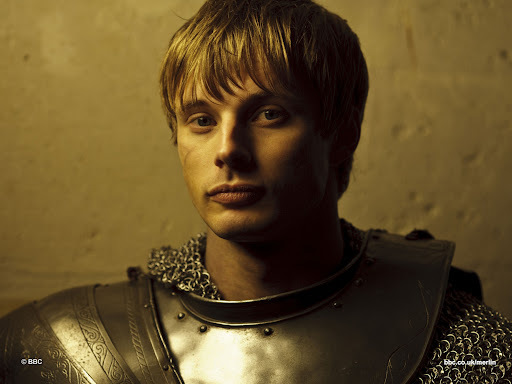 Ha ha ha ha - it is Bradley James, not the other way round!